Judy Richardson was on SNCC staff from 1963 to 1966: in Maryland; in Mississippi, during 1964 Freedom Summer; and in Georgia and Alabama. She ran the office for Julian Bond’s successful first campaign for the Georgia legislature; co-founded Drum & Spear Bookstore in D.C., then the country’s largest African American bookstore; and was Director of Information for the United Church of Christ Commission for Racial Justice. Her experiences in the Movement influenced the rest of her life. She worked on Blackside’s fourteen-hour PBS series Eyes on the Prize and was its education director. She also co-produced Blackside’s Malcolm X: Make It Plain. As a Senior Producer with Northern Light Productions she produced African American historical documentaries for broadcast and museum, including all the videos for the National Park Service’s “Little Rock Nine” historic site and, most recently, PBS’s Scarred Justice: The Orangeburg Massacre, 1968. She has worked for numerous social justice organizations and writes, lectures, and conducts teacher workshops on the Civil Rights Movement. 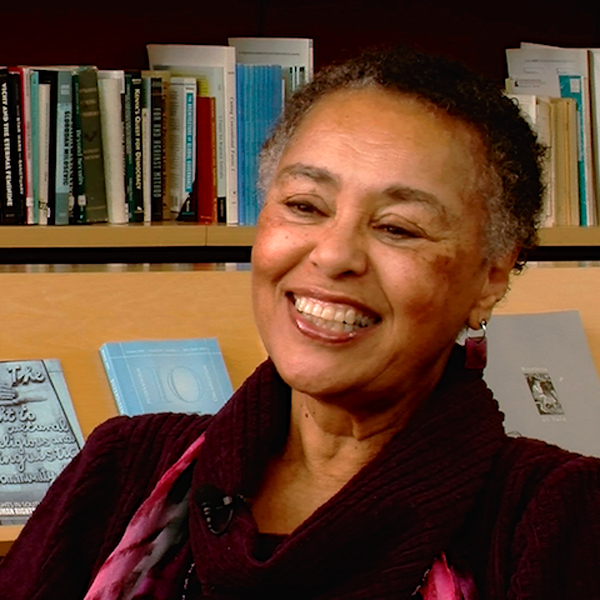 She co-edited Hands on the Freedom Plow: Personal Accounts by Women in SNCC, with five other female SNCC staffers. Published by University of Illinois Press, the anthology includes the memoirs of fifty-two courageous women on the front lines of the 1960’s Southern Civil Rights Movement. She was awarded an honorary doctorate by Swarthmore College and is a visiting professor at Brown University. What advice do you have for young documentary filmmakers? What was one of your goals in making Eyes on the Prize? Why did you decide to help put together the book Hands on the Freedom Plow? What caused SNCC to fall apart in your opinion? Did you ever experience violence in Mississippi? Were you ever afraid for your safety? What role did women play in SNCC?